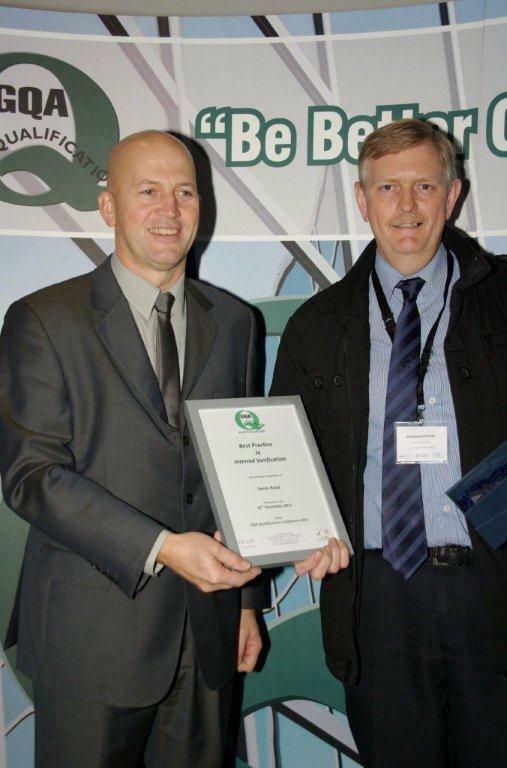 Denis Reed, National Mobile Windscreens Compliance Manager, was recognised by GQA Qualifications for the high standards of quality assurance in his role as Internal Verifier at the 2nd Annual GQA Conference held at Schuco in Milton Keynes in November 2011. Denis was the recipient of a stunning glass trophy for “Best practice in Internal Verification”, 1 of 3 awards GQA presented to recognise good practice in the Centres approved to offer GQA Qualifications. National Mobile Windscreens has been delivering the NVQ in Automotive Glazing to its Engineers for many years, and has always used the qualification as a business improvement tool as well as a means of formal recognition for the skills and knowledge that is essential to meet the demands of its customers and comply with Codes of Practice such as PAS 125.